Liven up your ketogenic breakfasts with this low-carb pudding bowl recipe. 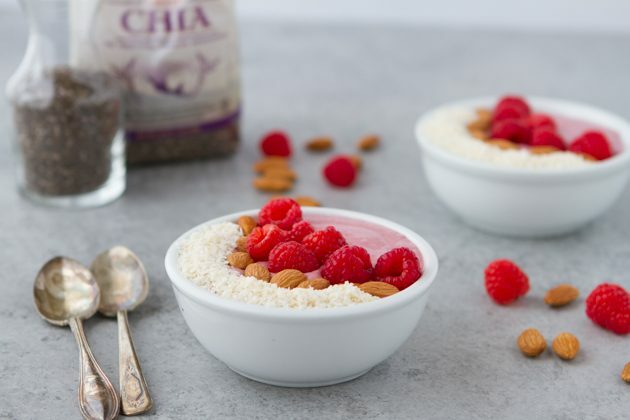 Rich in healthful fats including MCT oil, full-fat coconut milk, and Bob’s Red Mill chia seeds, this smooth pudding is a keto breakfast treat! While I love a good daily RFL (rocket fuel latte) practice sometimes I just feel like eating food for breakfast. Maybe it’s the act of chewing that I miss? Since starting to eat keto I do a lot less chewing/eating/consuming things. 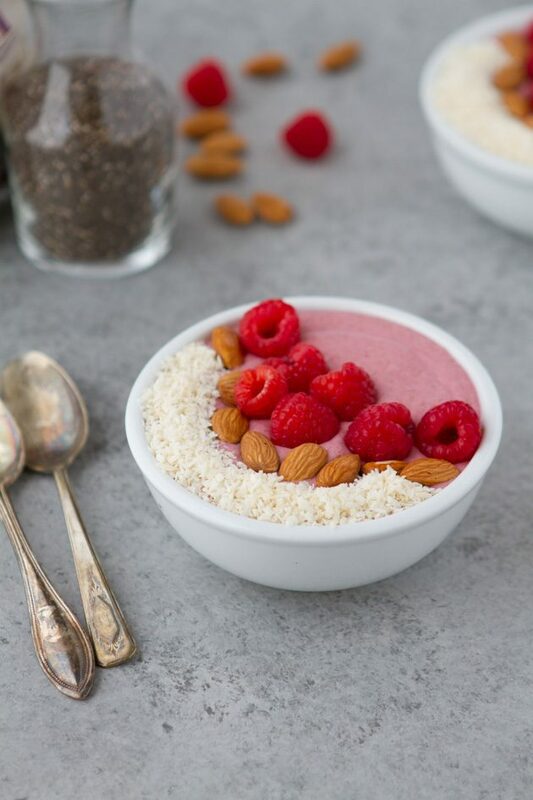 But there are days, like the other day when all I could think of was having a vegan smoothie bowl topped with crunchy things, where I need a full on breakfast. Maybe you’re there with me and are in dire need of some breakfast inspiration? The vegan smoothie bowl is a fascinating thing. How I didn’t end up in a coma while consuming them on the daily is beyond me. Eaten for breakfast, they’re filled with nut milks, bananas, loads of fruit, sometimes honey is added in for sweetness… can’t do it. And then, there’s the keto pudding bowl. 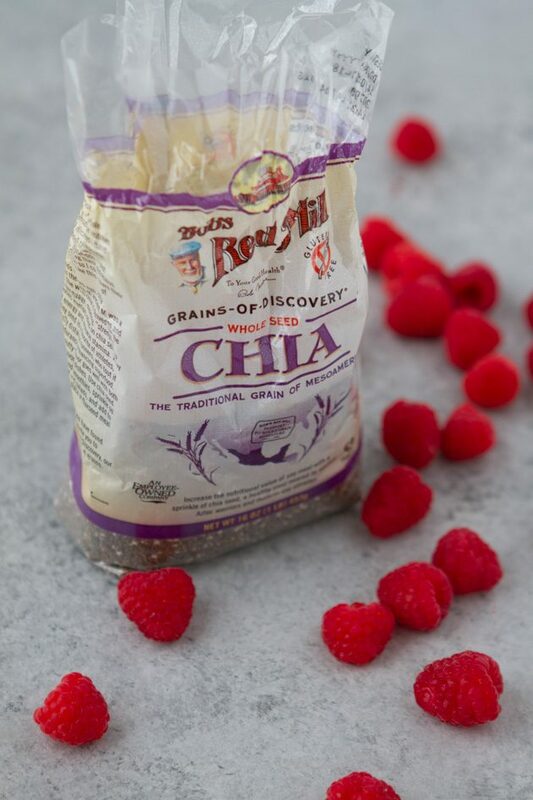 Also a breakfast item, but loaded with fat, thickened with blended chia seeds, and topped with a handful of berries, cacao nibs, shredded coconut, or a couple of nuts to round off the crunch factor of the end result. 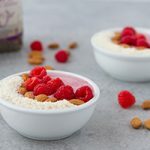 I didn’t use just any chia seeds for the creation of these keto breakfast pudding bowls, I went for Bob’s Red Mill Chia Seeds because they’re accessible. I like recommending products and linking out to items that you can find in your local store, or at your favorite online shop. 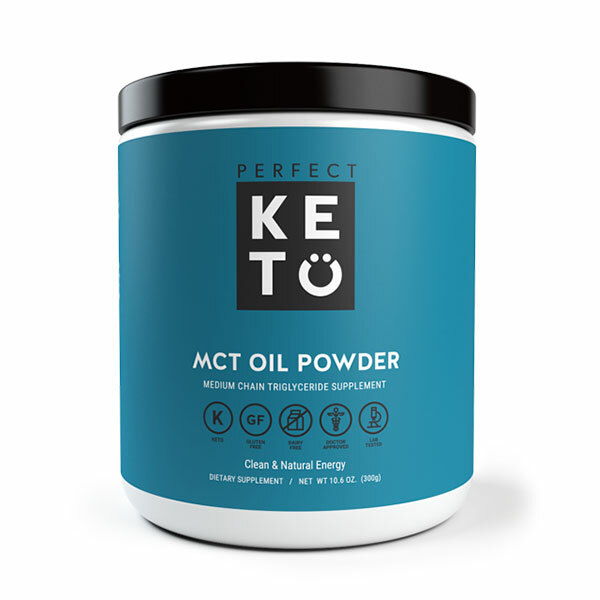 I’m diggin’ the paleo-friendly section on Bob’s Red Mill, where you can find all of the things in my pantry right now their paleo items, many of which are keto, too! Including various sizes of coconut flakes (a must), carob powder, flaxseed, different grinds of almond flour (great for chicken breading to shortbread), psyllium, hazelnut flour, and more… but I digress. Let’s get to this recipe, what do you say? Liven up your ketogenic breakfasts with this low-carb pudding bowl recipe. Rich in healthful fats that’ll keep you running on ketones through to the evening. ½ cup (120 ml or 150 grams) per serving. 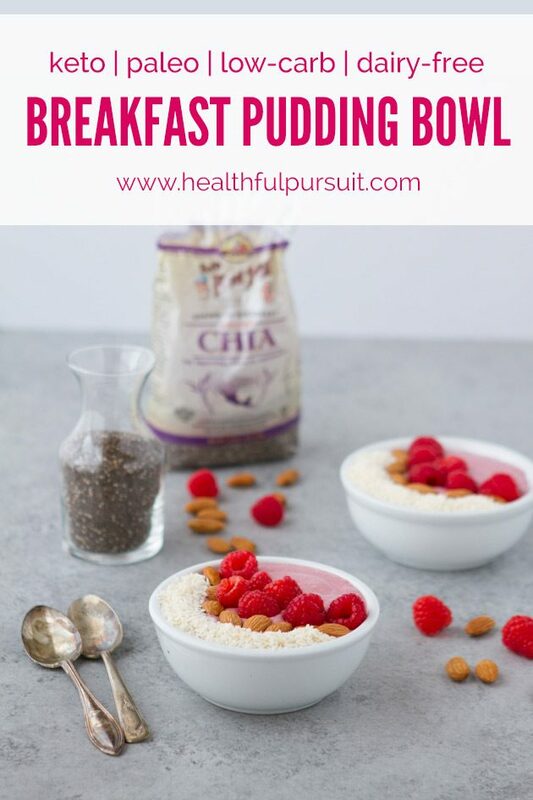 Place all of the breakfast pudding ingredients in the jug of your blender or bowl of your food processor. Blend until smooth. Divide between 3 bowls at least ¾ cup (180 ml) in size. Top with your favorite toppings, if using. Boost the protein by adding your favorite protein powder. A scoop of collagen would be great! What would you top your keto pudding bowl with? Let’s chat about it in the comments!